A plastic bottle cap shaped like a head of the kokeshi doll, carefully handmade by a kokeshi craftsman in Naruko, Miyagi Prefecture. 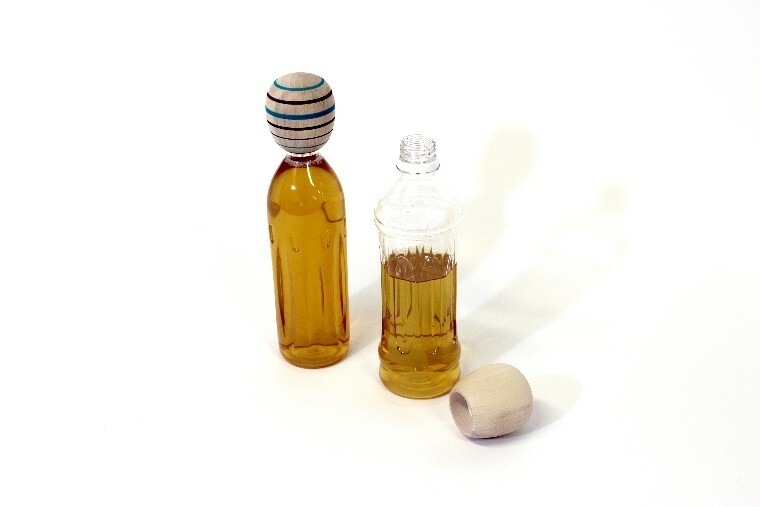 Replaceable with the regular Japanese PET bottle cap, it enables you to reuse the bottle. 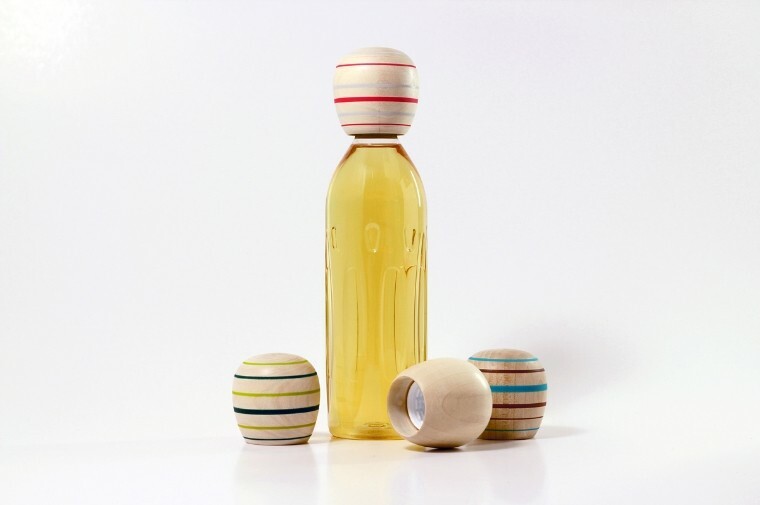 The wood texture is pleasant to touch and it also allows for easier opening and closing of the bottle. 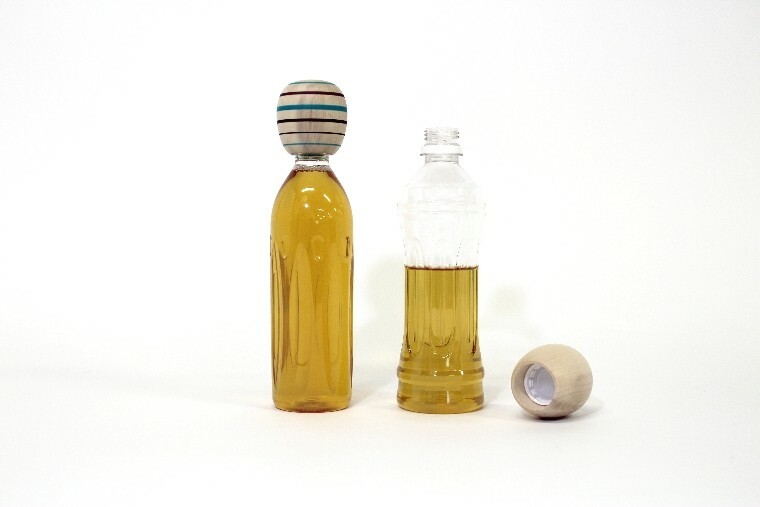 the shape of it on top of the bottle will remind you of the shape of the kokeshi doll.